Does the Maxima have what you want out of a vehicle? Scroll past the video to find out! The Nissan Maxima reviews are transcribed by experienced vehicle authors. It is just one of many resources we provide as the dominant Nissan dealership in Dallas - Fort Worth. 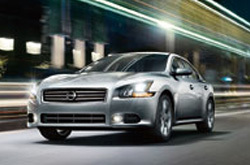 Loaded with valuable specs and material, each paragraph gives you complete access to all the Nissan Maxima has to offer. 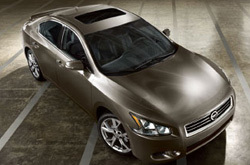 Read on, but don't hesitiate to contact Texas Nissan for more Maxima information. When considering the 2013 Nissan Maxima side-by-side with the 2013 Lincoln MKZ, Volkswagen CC, BMW 3 Series, Chrysler 300, Hyundai Genesis and the Acura TSX, and you can discover that the Maxima ranks above those autos in quite a few parts. Look over the hightlights below. Like the Maxima? Get a quote on your trade-in and save! Take a peek inside the 2013 Maxima - view video now! Get reliable factory parts and fantastic workmanship from Nissan technicians at a centralized site that's just a small cruise from anywhere you need to go. At our Nissan auto repair center in Dallas - Fort Worth, we offer this and a long warranty on all jobs! If you evade getting topnotch repair work, your Nissan Maxima's health might weaken, so bring it to the skilled mechanics at Texas Nissan. We handle difficult, laborious duties like electronics repair, as well as simple undertakings such as speedy inspections, timing belt replacement and a diverse set of other services. Make a solid choice when figuring out a place to have your Nissan Maxima repaired, and don' forget: At Texas Nissan you can plan on getting professional service and affordable prices on Dallas - Fort Worth car repair. Find out how much you can save on your next service! Just follow the link below.